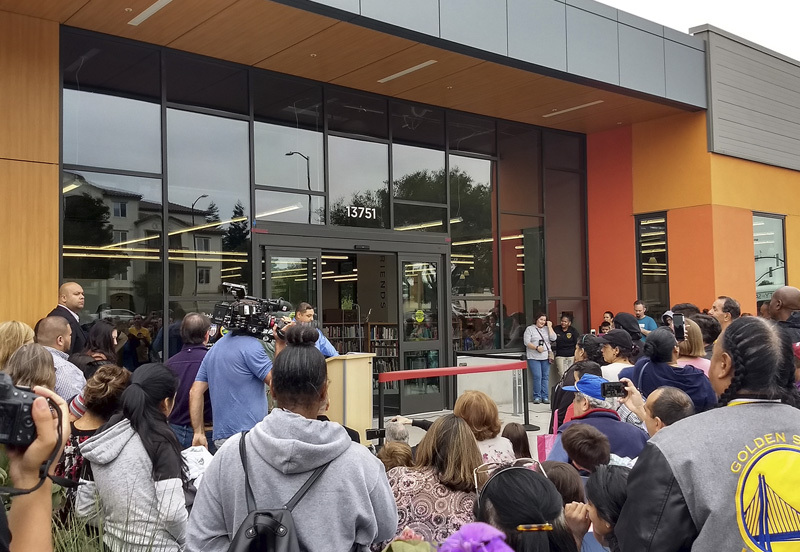 The East Bay city of San Pablo came out by the dozens on an overcast Saturday morning in August to see the opening of their new 20,000 SF library. 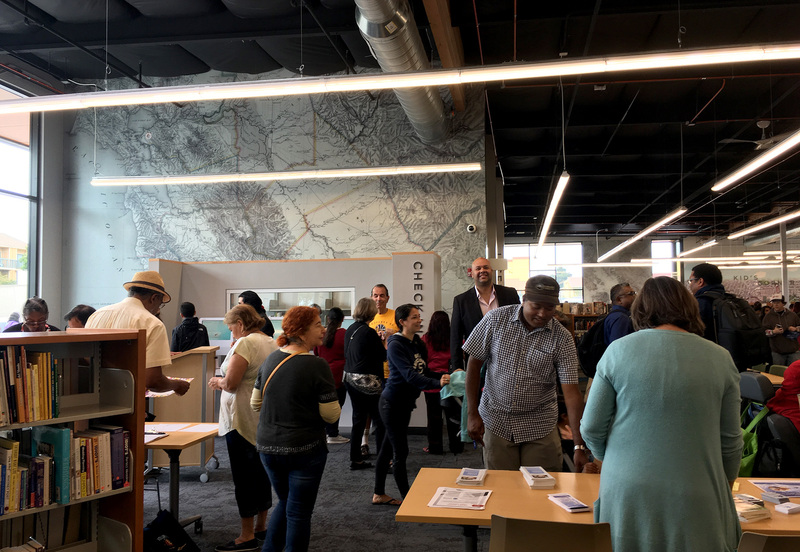 Likely, few would believe that just a year ago this location – and building – was a worn and underutilized Walgreens shopping plaza. 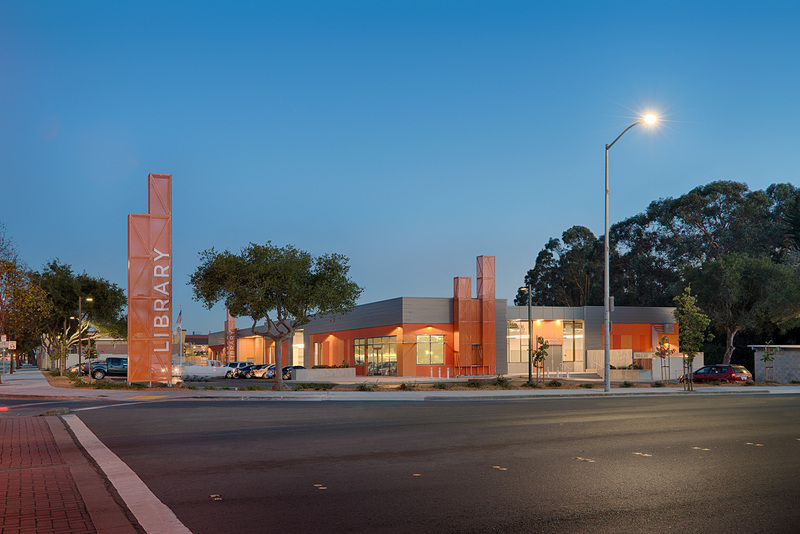 The new building, owned by the City of San Pablo and operated by Contra Costa County Library, triples the amount of library space for the city of 30,000, including meeting and group study spaces, large Kids Corner and Teen Zone, a Community Room with a separate entrance, and even a corner tenant space fit for a café. 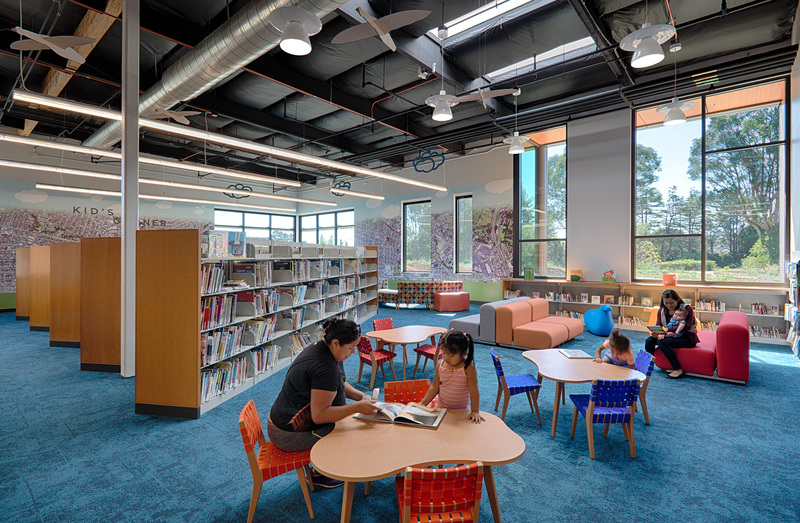 The interiors have completely stripped away the old drug store aisles, dropped ceilings, and overhead mirrors, replacing them with little more than skylights, soundproofing and a coat of black paint. 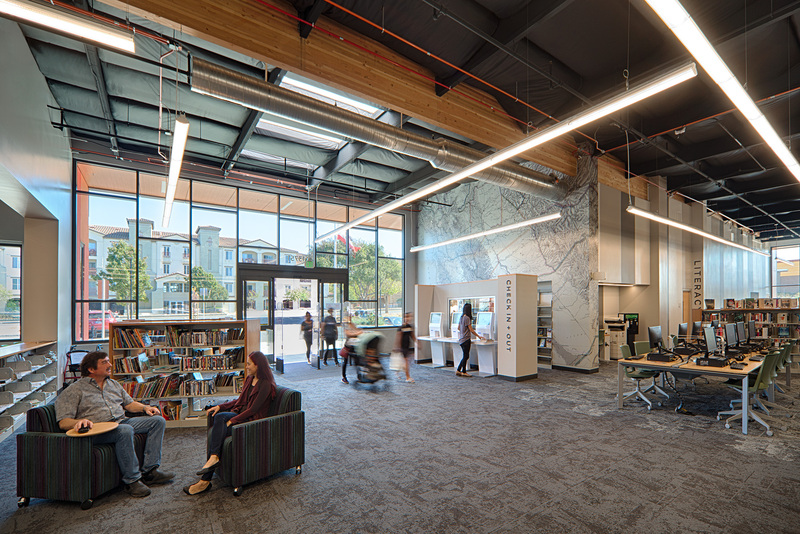 Large windows bring in daylight and views to San Pablo Avenue and Wildcat Creek. 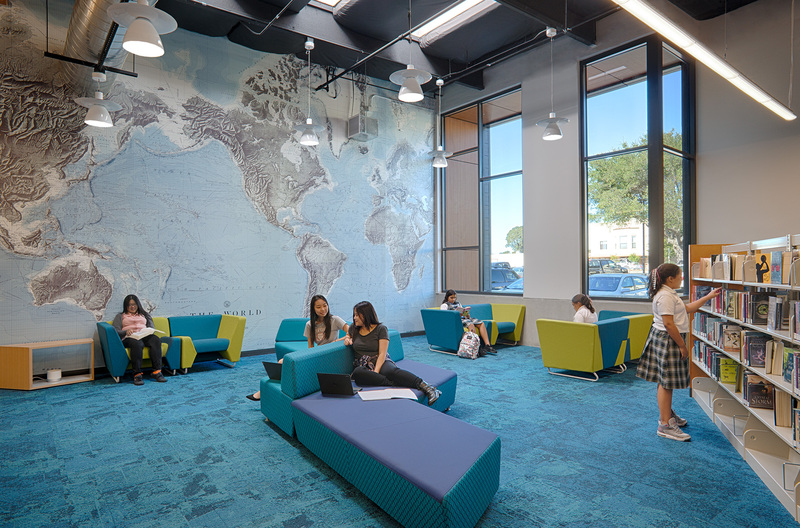 Wall-spanning maps of the the city, the Bay Area, the world, and beyond tie together the various library spaces into a cohesive whole, hinting to the universe of information and exploration available to San Pabloans through their library. 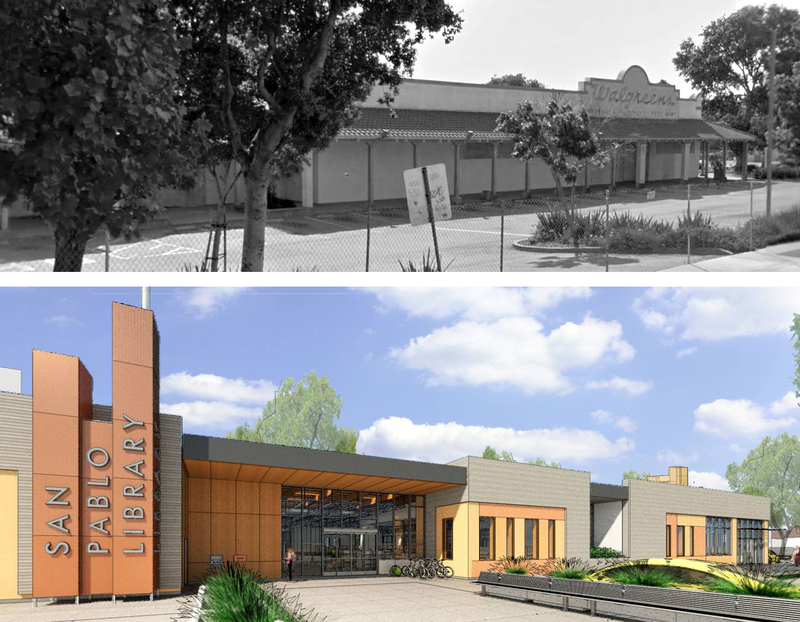 The exterior is a contemporary take on San Pablo’s signature Mission stylings and color scheme, and anchors a dialogue for the forthcoming development of a civic center there. 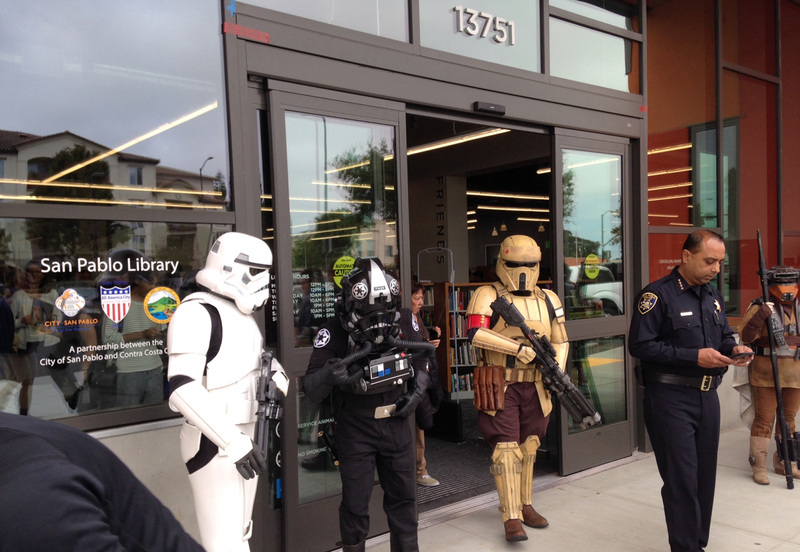 The Grand Opening came complete with a detachment of Stormtroopers…and one bounty hunter. Professional Images by Tim Maloney, Technical Imagery Studio. 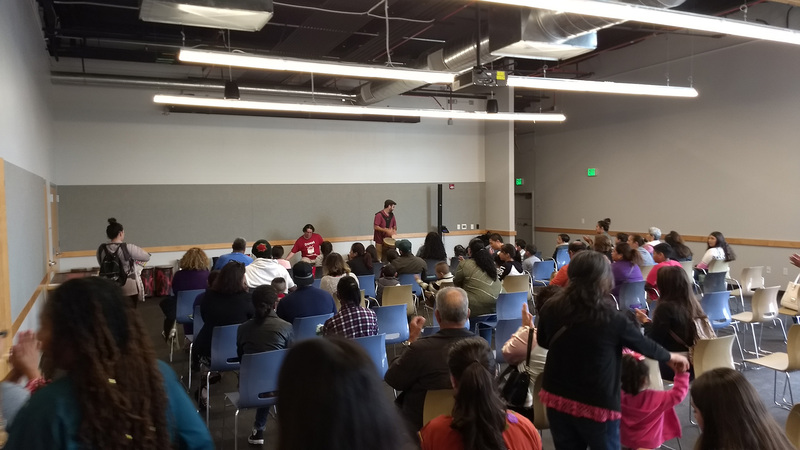 Grand opening images by Group 4.